As the ufologist knows, the alien experience is suffused with an insectoid pattern that is in turn linked to an evolutionary schema. 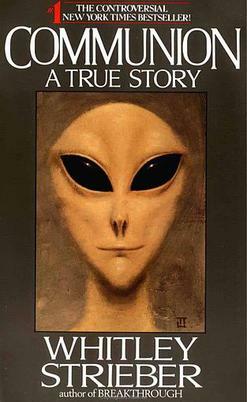 Hence the spaceships or the aliens themselves are often described as “buzzing” like bees or large flies, and they often appear to share a hivelike communal mind…Moreover, in countless cases, the aliens are described as either super-evolved humanoids or as insectoid, or, combining these two themes now, as humanlike insects. Not only does this black suit appear at the height of the abduction narratives, and not only does it make the wall-crawler look even more like an alien, but we quickly learn that the black suit is an alien, that is, a sentient alien symbiote that can take on and exaggerate, inevitably in violent and aggressive ways, the personality features of anyone with whom it bonds [read: abducts]. The world is awakening to the fact that we are not alone. Alien disclosure is a current hot topic among former congressmen and other political and military leaders. Science fiction and superhero comics have always had a connection to the “other,” whether supernatural or extraterrestrial. Spider-Man is a world renowned face of pop-culture. Is that popularity in part due to his alien origins?